2015. Major part of the trunk hollowed naturally by an unknown larva. All the carving job has been done under the cover of the bark. Height +/- 90 cm. Despite the fact that the little birch looks quite close to my plans for the current level of its development it doesn´t look well. 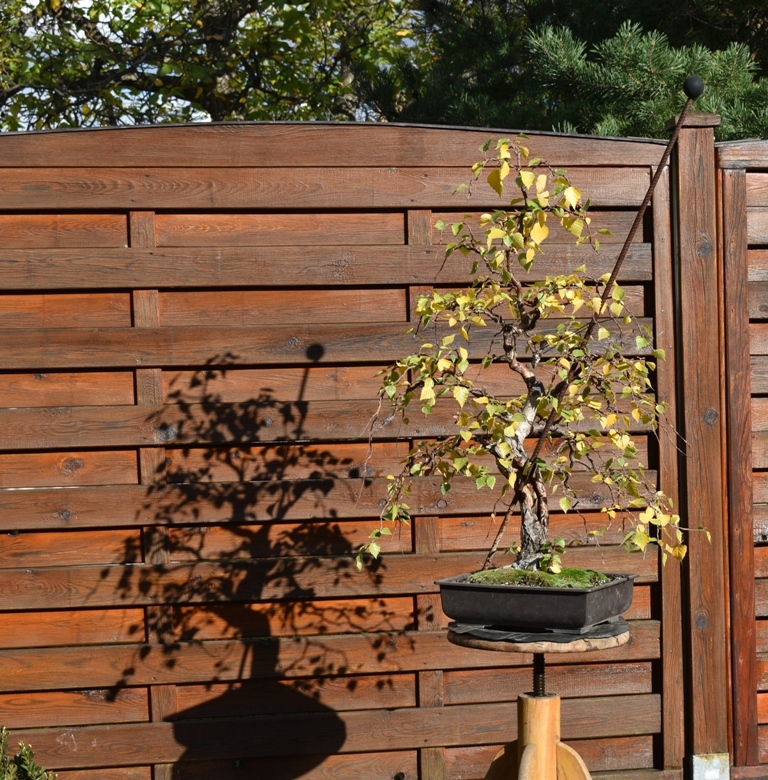 And here I am not thinking about the apparent bonsai craft flaws. What I mean is that the tree doesn't look as the birches in the local woodlands. I am really struggling how to convey the natural look of wild birches on a birch in a pot? 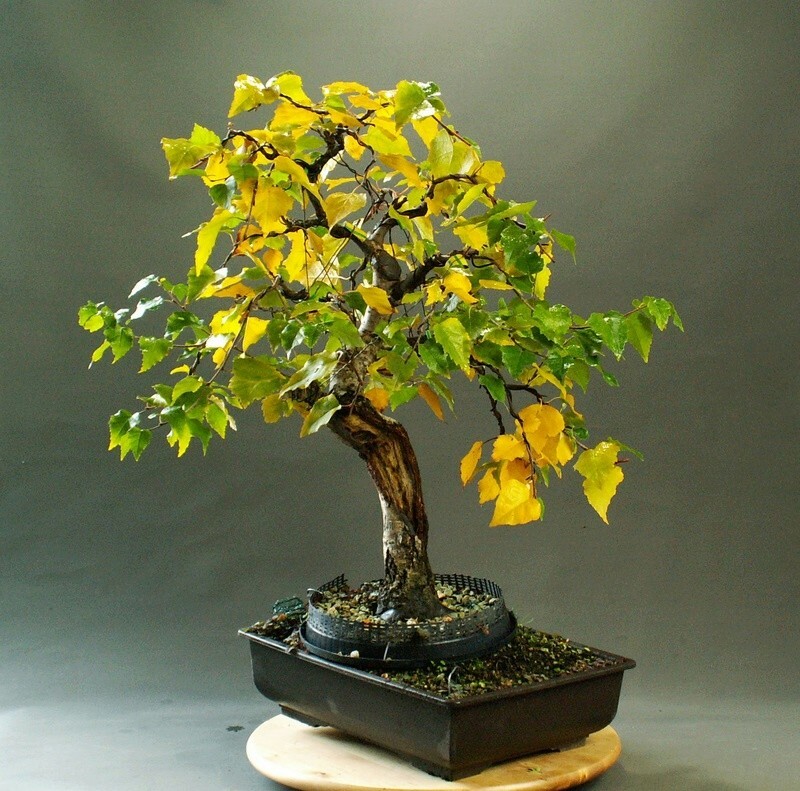 I am sure it cannot be too realistic because of the different scale, but how to strike the right balance between the reality and bonsai dreams? Its getting there isnt it Vlad....just needs more ramification. Going to be a great birch, great movement in the trunk. Its got that creepy look which suits it. BobbyLane wrote: Its got that creepy look which suits it. Lovely tree, I love the curves. Lovely 3rd photo, beautiful shadowing. Vlad wrote: ... ... What I mean is that the tree doesn't look as the birches in the local woodlands. I am really struggling how to convey the natural look of wild birches on a birch in a pot? 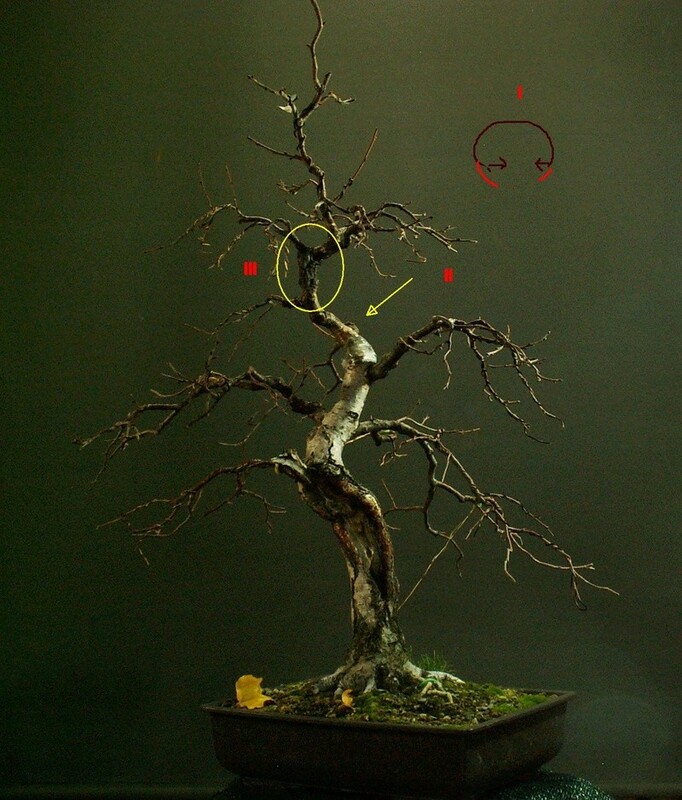 I am sure it cannot be too realistic because of the different scale, but how to strike the right balance between the reality and bonsai dreams? 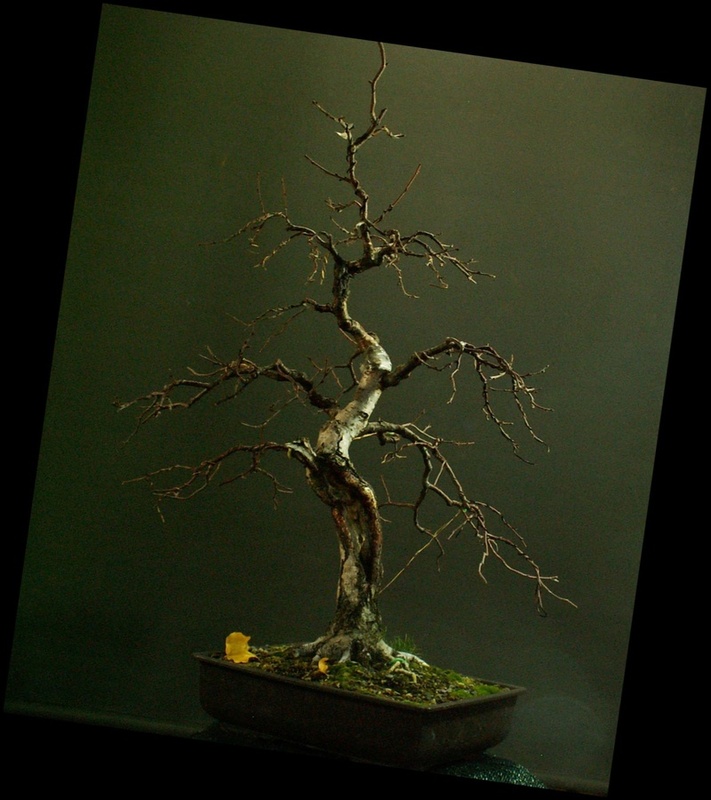 Dear Vladimir, let me be daring and say that in bonsai dreams in order to recreate the magic of those wild birches which speak to your soul, you should recreate their details. With this in mind, you can use the existing physical features of your beautiful tree as the available structural elements of your design and then create more new elements that will be used for the final synthesis. Thank you guys for your kind comments. You are right Alexandra. The movement is one of my "happy troubles" with this tree. I do like trees with some dynamics, but the second curve of the main trunk is a bit excessive, even for me and there is also a thickening on the main trunk that creates a reverse taper. So it attracts too much attention to this area. It might help a lot just to change the planting angle very slightly? Great. this is going to be fixed. Then some other styling/cultivation flaws will be also addressed in a couple of next seasons. Nevertheless the main point raised by Alexandra is still there: How to transfer the feminine beauty of birches in the pot? Vlad wrote: Great. this is going to be fixed. Then some other styling/cultivation flaws will be also addressed in a couple of next seasons. i think you could try getting more movement in that fits with the flow of the trunk, instead of following the natural arc to the letter, try keeping the arcs, but getting some twists in there, note the birch above, as i say in 2015 there was more sinuous, feminine movement where some of the branches arced twice? @Bobby I do like your database of images. There are great trees. Very inspirational. "stepping arc" Interesting and very true. You can definitely find it on the trees in the nature. Thank you for your ideas. I am planning to put together some of my thoughts on birches - sorry, only on my blog as I will use a few images from other guys. Nevertheless the progress of this birch will be updated here. Just for now I have highlighted the most challenging points - for me - that I need to take care of. III. A reverse taper and the angle of the trunk line there. I was reading through some of the former comments and I don't feel there is a loss of balance just because the apex is not directly above the base or nebari. The nebari by the way is excellent, how you managed to find them like this is amazing. 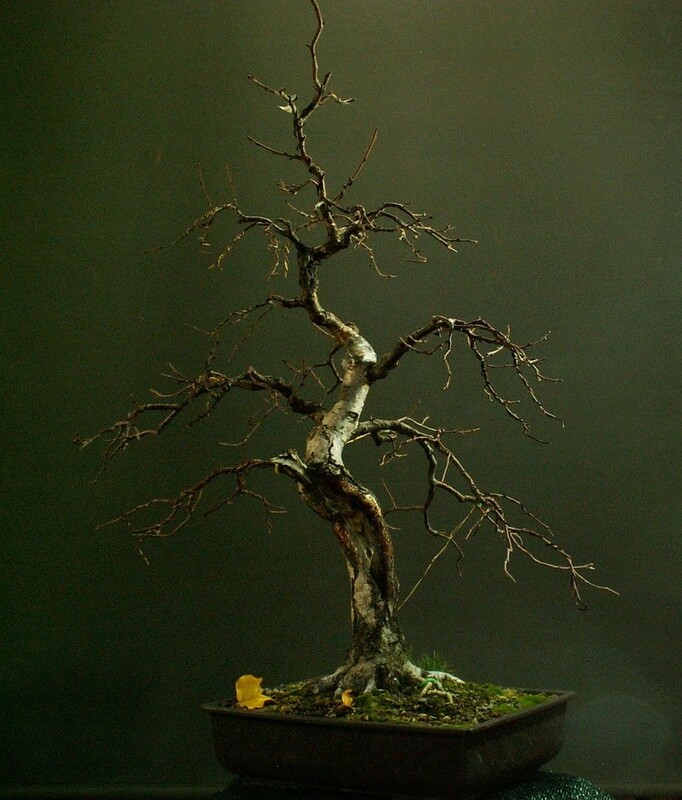 I have a Betula waiting for me this spring but it has the ugliest base one could imagine. Thomas Urban wrote: The nebari by the way is excellent, how you managed to find them like this is amazing. 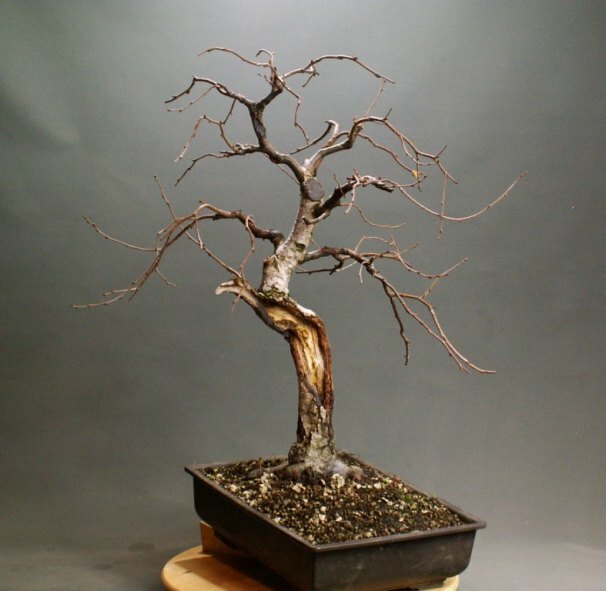 I have a Betula waiting for me this spring but it has the ugliest base one could imagine. The surface roots were improved by a threadgrafting to some extent . You can find some details either on my blog or on bonsaigreenhorns. 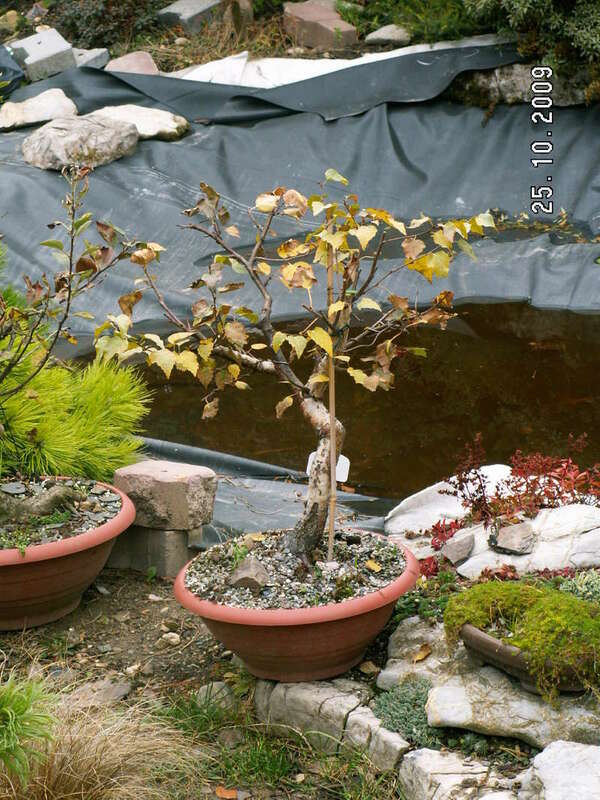 In fact both of my birches presented here have a number of grafted roots to improve the nebari. Thank you, Holger, for an interesting drawing. What is your rationale about the reduced size of the crown? Do you mean balance = stability or balance = better trunk diameter x height ratio? definitly better trunk diameter x height ratio! Different views and open discussion are engines of our development. Thank you, Holger, for your time and effort.